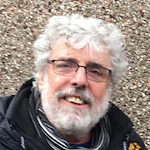 Founded by theatre maker Alan Dix and based in Bradford, 509 Arts has worked for over 25 years as both a production and consultancy company. It aims to create inspiring and accessible routes for communities and artists through exemplary productions that are relevant to their experiences and life stories. Programmes that have access, participation and engagement at their heart frame much of the company’s work. Since 2011, 509 Arts has often used testimony to shape creative thinking about subjects that resonate: My Last Car (‘car love meets climate change’) for the Cultural Olympiad, Bike Story (‘life on two wheels’) for the Tour de France Grand Depart (11 outdoor locations, audiences of 2,500) and Landlines & Watermarks (‘a landscape and people shaped by water’) in response to the Calderdale floods. Calderland, the folk opera at the heart of the project, won a 2018 Royal Philharmonic Society Award. 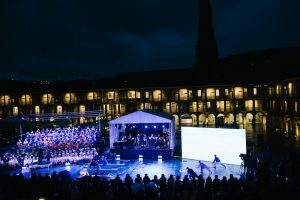 The Batley Variations, a new opera commissioned by Creative Scene and Batley Business Association, was premiered at the end of November 2018. 509 Arts is deeply committed to producing work in Yorkshire and the North of England that captures the public imagination and uses the very best teams to make this happen. 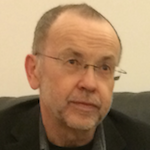 Alan Dix set up 509 Arts in 1995, following successful careers in both theatre and education. Since that time the company has worked throughout England with arts organisations, public sector bodies, private businesses and the voluntary sector to develop, produce, manage and assess cultural programmes and projects of all kinds. Jenny has over 15 years’ experience of producing, curating and commissioning multi-disciplinary arts programmes and festivals, including FuseLeeds contemporary music festival; imove – Yorkshire’s Cultural Olympiad programme for 2012; Interrogate Festival 2012 (Darlington), Leeds 2023 and Phrased & Confused. 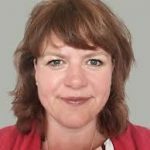 Tracey has extensive experience of project management, research and evaluation and regularly works on large scale, complex projects for 509 Arts. 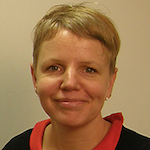 Tracey undertakes programme review and assessment, designs evaluation frameworks and manages teams of research assistants. Mike Kenny is based in York and was one of the Independent on Sunday’s Top Ten Living UK Playwrights. His plays are performed regularly throughout the UK and all over the world. Mike’s 2008 adaptation of the Railway Children for York Theatre Royal won an Olivier award. Shanaz Gulzar is a film and digital artist. 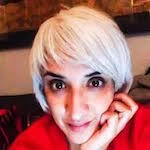 She is a Director of adeptprojects.co.uk and has worked with Chol Theatre, Bite The Mango Film Festival, Illuminate, Yorkshire Film Archive, Enchanted Parks Gateshead, Moti Roti and Bradford City Parks. 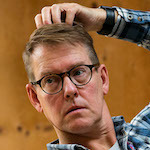 Previously composer at residence at Leeds Playhouse, Richard Taylor won UK Theatre Awards in 2012 and 2016 for his music theatre compositions The Go-Between and Flowers for Mrs Harris. He has worked in the West End, for the Royal Opera House and the BBC. 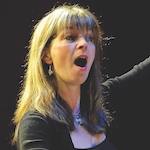 Em Whitfield Brooks has led many community choirs including Ellacapella – ‘York’s first female blues choir, Global Voices for Stephen Joseph Theatre, Hull Freedom Chorus and Helmsley Arts Centre Community Choir. She is founder director of Ryedale Festival Community Opera. Graham is a theatre director and cultural strategist. He was Acting Chief Executive of the Arts Council of England from 1996 – 1999 and has since served on numerous Government and other public sector committees and undertaken many strategic reviews including: DCMS (for the Cabinet office), the British Council’s arts programme, the Edinburgh Festivals, the cultural offers of the cities of Liverpool, Manchester, Coventry, Birmingham and Derby. Amanda Smethurst. An arts leader with significant experience of organisational development, evaluation, change management and strategic planning within the cultural sector – and a passion for supporting people to find out what makes their heart sing.